You depart upstream of the beautiful bridge of Ceps, in the National Park of the Haut Languedoc. 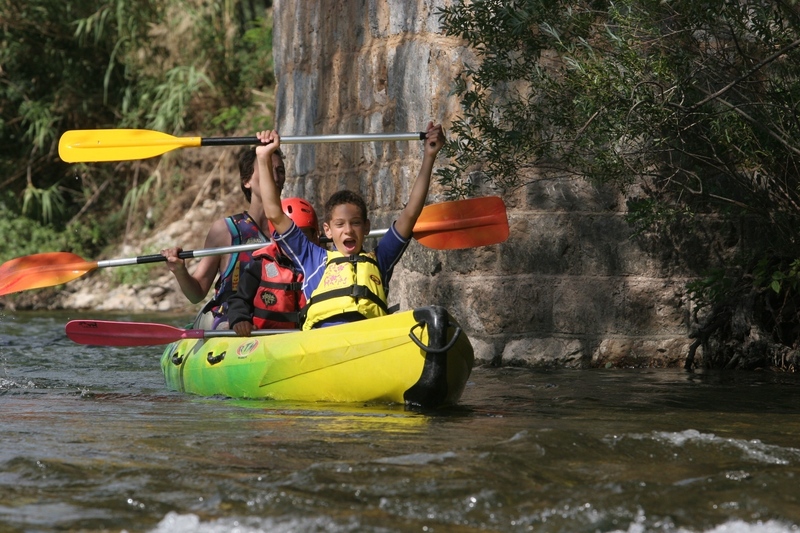 Canoeing down, you will pass by a renovated former mill, gardens on the river side and the AOC Saint – Chinian vineyards. The “Aqualand” and “S” rapids spice up a little bit this tour which is suited to everyone. We are located in the heart of Roquebrun. Your car is parked at the arrival. Be careful to keep your distance in the rapids ! Children from 6 years on, provided they can swim. Please bring back your garbage in the container we lent you. Respect the swimmers and fishermen.